[/size]I'm sure this has been done before, but I thought that I should do a bit of a review and a run-through of installation of my new XForce catback. Okay, so I'll start with the basics of the installation, I'm not great at taking progress photos, but I have a few of the finished product. 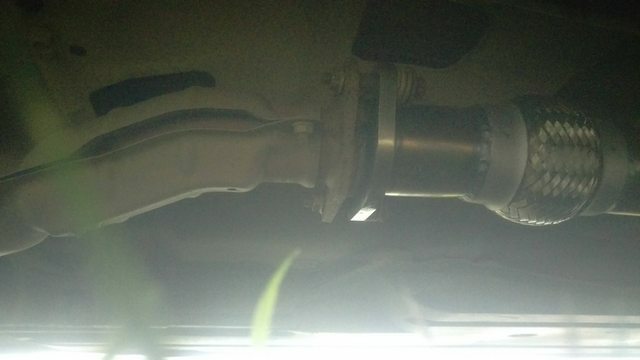 I'll start with the obvious, first, remove the old exhaust, it's all pretty easy, a few of the bolts might be a bit tough and it might be a bit difficult to pull the hangers out of the mounts, but it should take around half an hour. 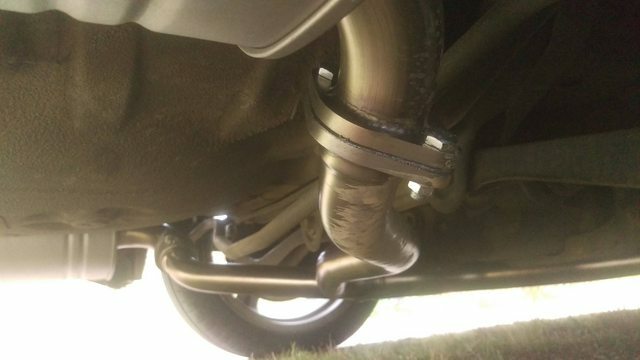 Before installing the new system I connected the resonator to the y-pipe before mounting it under the car, this seemed to make it easier to mount both sections and meant less time spent under the car. The first slight fitment problem was that the hanger on the y-pipe was far too narrow for the mount, this isn't a huge problem as I should replace the mounts soon anyway, but worth noting. The second problem was far larger, the bolts provided don't fit the flange on the car, while it would be possible to bore out the hole, there really isn't much metal to play around with and I didn't feel like that was a good idea. I also didn't have any misc bolts lying around, so I improvised and used the old bolts, but of course this wasn't straight forward either, the original bolts have springs on them which were too long to use. So, I did what any Subaru owner does when they see springs, and I chopped them. I used one spring and cut it in the middle and it worked with the bolts from both sides. On top of this, the flange on the engine end was not a match for the one on the exhaust, the flanges matched but due to the type of construction they didn't join neatly. As you can see in the photo, there is a gap between the two flanges, however there is no leaking from the join. 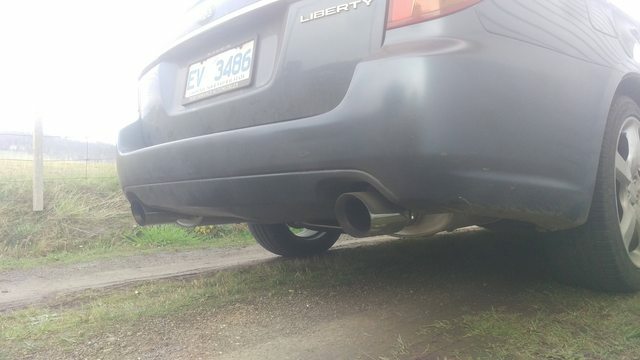 After that, the rest of the installation was pretty straightforward, the mufflers mounted really easily, and the total job was done in under two hours. Now, onto to review, I'll start with a basic /10 rating for a number of things, and then go onto more depth for each category. The system cost me $400 delivered and if made of mild steel. For $400 it is pretty good and definitely worth the price. The sound is nice and rumbly, I'll try to upload a video at some point. The only downside is that it does tend to drone a little, but it's not too bad. As above, installation was lacking a bit, and I definitely wouldn't consider it a "direct fit". 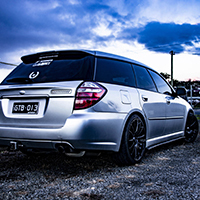 It's a very capable exhaust system, I like the way it sounds, and for the price it's very good value. I have only one other comment, and that is that my car is running very rich since installation, I have reset the ECU, and I am going to check the spark plugs/gap, but that is about all I can do cos Hitachi life. Okay, so here is a quick sound video which I made today, ignore the rattle, that is because of a cracked part of the heat-shield which I need to fix. I think it sounds pretty good, and a whole lot better than stock.